Share the post "Major Changes Are Coming to Student Loan Servicing"
The U.S. Department of Education is moving forward with a major overhaul of its student loan servicing system that will transform every aspect of federal student loan repayment – from payment processing, to re-certification for income-driven repayment plans, to requests for deferments and forbearance. The plan involves creating a single web portal for all federal student loan borrowers to manage their student loan payments, regardless of their servicer. 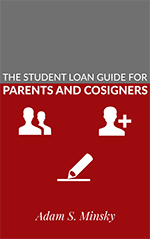 In other words, to some degree it won’t matter whether your loan servicer is FedLoan Servicing, Navient, Nelnet, MOHELA, or Great Lakes Higher Education – under this new program, everyone would go to the same website to pay their student loan bill. 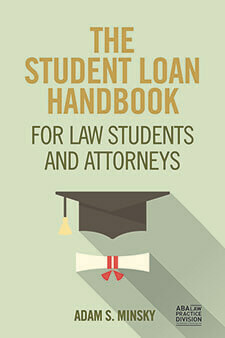 This is similar to the website studentloans.gov, which is a centralized government web portal that allows borrowers to consolidate their federal loans or apply and re-certify for income-driven repayment plans like Income Based Repayment (IBR) and Pay As You Earn (PAYE), regardless of their servicer. It’s not yet entirely clear whether the new system will be an extension of the studentloans.gov site, or a new website altogether. The plan also calls for breaking up the so-called “back end” of the loan servicing system. Currently, each individual servicer handles most (or all) operations involving the student loan accounts in its inventory, including mundane and unseen tasks like data processing. The proposed revamp of the system would involve tasking a specific servicer with operational elements on a systemwide basis. The Department of Education has started a competitive bidding process for prospective servicers, and there are some familiar faces that have made it to the “finalist” stage: EdFinancial, MOHELA, OSLA, Nelnet, and Trellis (formerly Texas Guaranteed). Interestingly, PHEAA (also known as FedLoan Servicing) has been selected as a finalist. In addition, Navient – while not chosen as finalist – has been selected as a major subcontractor for the new servicing system. Both PHEAA and Navient have been the subject of widespread criticism and law enforcement actions as a result of poor servicing and pervasive consumer complaints. Looks like that didn’t really make a difference when it comes to which companies are going to manage millions of student loan accounts. Officials are projecting that the new system will potentially be rolled out sometime in 2019. The last major federal student loan servicing overhaul occurred in 2012, and it caused major disruption to many student loan borrower accounts. Now would be a good time to start retaining your loan records, such as important correspondence and payment histories; you never know when you might need it. Don’t assume that all of your records will be transferred from your old servicer to a new servicer if your loan account changes hands. 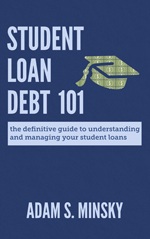 Check out these tips for protecting yourself against problematic student loan servicing.